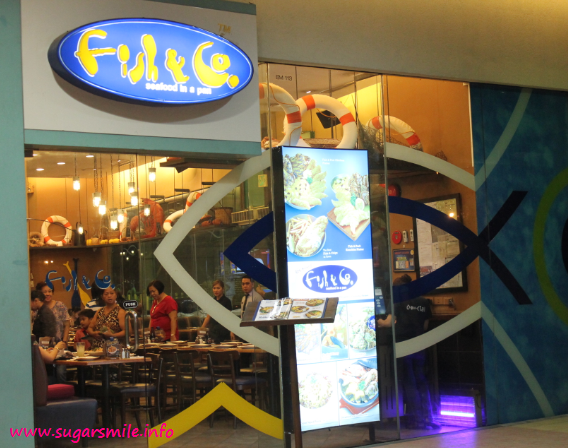 SugarSmile: MoA Sweet Eats: Hooked with Fish & Co.
MoA Sweet Eats: Hooked with Fish & Co.
Aside from its sumptuous seafood, I keep coming back to Fish & Co. for shallow reasons - they serve their food at a frying pan. This Bistro Group restaurant has been a favorite for many years. And this Heart's Day, they've got a special treat, not just for couples, but also for the whole family. 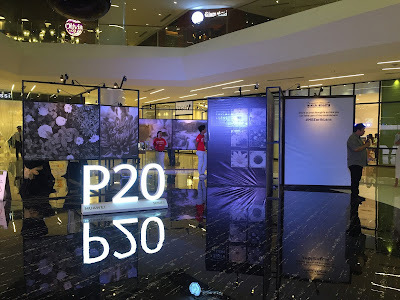 Fish & Co. at SM Mall of Asia is located near the bay side so if you're planning to see their fireworks display every weekend (and now for the Pyrolympic Competition), they have the best spot. Now on to their specials. We had the Jungle Freeze drink first so we could cool down after our walk from the North Parking. I've been always fond of yummy shakes, plus this one is really healthy to chug on. 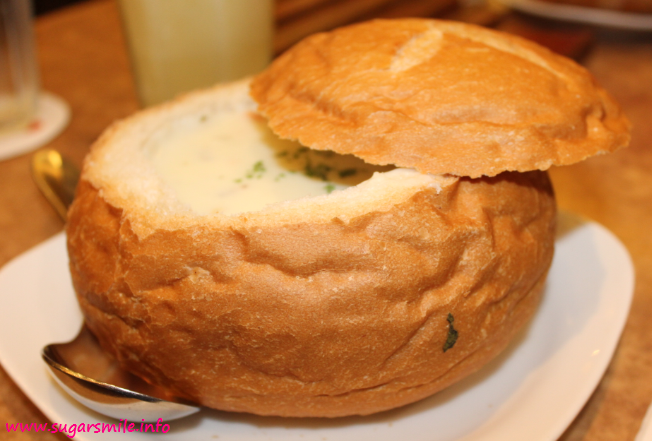 For appetizer, we were served with the Clam Chowder Bread with Soup. I've always loved this concept because I'm amazed that the bread can hold spoonfuls of soup for a long time. This special is a feast not just for your tummy, but also for your eye. You'd also know how fresh their ingredients are, because you can taste bits of clams, as if you're dining by the beach. Remember what I said about the frying pans? This Seafood platter is great for sharing.It consists of Sambal Prawns, fries, squid, fish and rice. So if you're ready to go big on romance (and food!) this one is perfect to order. Fish & Co.'s special Valentine Treat is the Artic Cake. This dessert consists of layers of vanilla and taro ice cream, coated with graham-chocnut crust. Just by typing that makes me want to have one again. I love that this dessert is not to sweet and also not too salty. And since we are fast approaching the summer season, this cake will make you cool down and chill.